BOULDER, CO--March 27, 2013: Electric motors and their controllers are an important but often secondary consideration in the cost premium of electric vehicles (EVs). Today, new electric motor technologies are being developed by many automakers and their supplier partners in an effort to gain advantages in performance and efficiency, just as they have done for years with their internal combustion engines. According to a new report from Navigant Research, unit sales of electric drive motors will reach 3.7 million by 2020, growing from 1.5 million in 2013. "The market for electric drive motors is set for steady rather than spectacular growth over the next few years," says David Alexander, senior research analyst with Navigant Research. "Only a breakthrough in the cost and performance of battery packs is likely to cause a significant increase in electric vehicle sales--but as volumes increase, there will be plenty of scope for cost reductions in motors and controllers, as well." 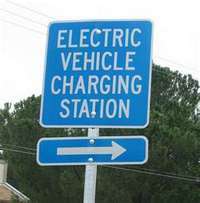 Many of the EVs on the road today are adapted from conventional vehicles that have been optimized for the internal combustion engine. Automakers put electric drivetrains into existing vehicle designs because they rely on conventional powertrains for the majority of sales and can reduce the time to market by using existing components and chassis. While this approach makes economic sense for automotive manufacturers with established production facilities, it does not make the best use of the potential of the electric drive, according to the report. The report, "Electric Vehicle Drive Motors", provides a detailed examination of the growing market for electric motors and controllers, including profiles of the leading motor manufacturers and the original equipment manufacturers that make their own motors. Forecasts for revenues from motors and controllers segmented by motor power rating extend through 2020, and a summary of hybrid, plug-in hybrid, and battery electric vehicle model introductions by region is also provided. The report also includes a review of the main electric motor technologies suitable for electric drive. An Executive Summary of the report is available for free download on the Navigant Research website.